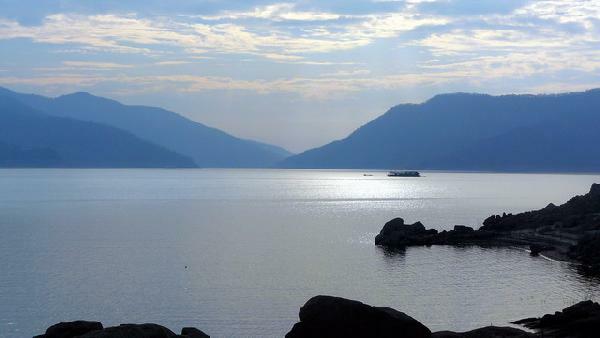 Doi Tao Lake offers all sorts of week-end activities such as: boating, fishing, swimming and cruising around for sightseeing towards Bhumibol Dam. Why Doi Tao Lake is special ? Doi Tao Lake is located in Doi Tao district, Chaing Mai Province. It becomes a floodplain after the construction of Bhumibol Dam. Doi Tao Lake is a large-sized reservoir at the north of Bhumibol Dam. The reservoir was used for agriculture and fishery. When there is enough amount of water (mostly during December to April), the raft houses, which cost 1,000-1,500 baht, and boat services will be offered to the tourists for traveling to Bhumibol Dam in Tak Province. As a result, Doi Tao Lake becomes a tourist attraction in Chiang Mai until today. The raft houses at the lake are able to attract a lot of people, especially in the winter when a crowd of tourists visits the place. Raft houses and food rafts are served here for the tourists. There are also towing rafts to many places and even from Doi Tao district to the front of Bhumibol Dam, which takes one day and one night. What to explore at Doi Tao Lake? The popular activity here is taking a boat trip to enjoy the scenery and the atmosphere at Doi Tao Lake. If the tourists have more time, they can rent the raft house and stay at Doi Tao Lake. It must be very happy to go fishing, lie leisurely, chat with friends, and order food freshly made of fish. Besides, any tourists who wish to buy some souvenirs, the place also offers dried fish and roasted fish, which people here cook for the tourists to buy. As a consequence, fishery is one of the jobs that people do apart from food rafts and accommodation at Doi Tao Lake. The beauty of the landscape and the freshness of the air might be very attractive to the tourists but do not forget the fishermen’s lifestyle. It is no less impressive than them. How to get to Doi Tao Lake? Doi Tao district is located 125 kilometers from Chiang Mai city, on highway 108, aka the Chiang Mai-Hod Rd., and by State Highway1103 aka the Hod-Mae Tuen highway. Chiang Mai-Doi Tao bus is available daily at Chang Puak Bus Station. However, car is the easiest way of getting there, since the road is well-maintained and not one of the snaky sort that goes over the mountains. There are plenty of places to stop along the way too, to have a snack and enjoy view of the North at its best all round you. Lake craft is available for hire in four different categories, and food and drinks are also plentiful. This great recreational opportunities during the rainy and cool seasons, from July to December. “What a pity it was as we came here in the winter, but we still experienced the natural beauty of both sides. To visit the dam, advanced contact agent is needed…..